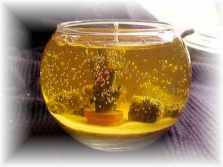 Picture's below are only a small sample of Gel Candle's that can be done up for Gift giving, Special Occasion's or for your own use. 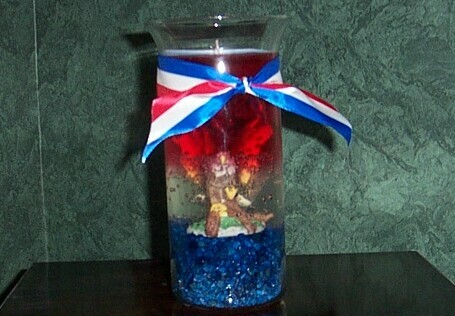 Contact us with your request and we will be very glad to make-up a Gel Candle for you . 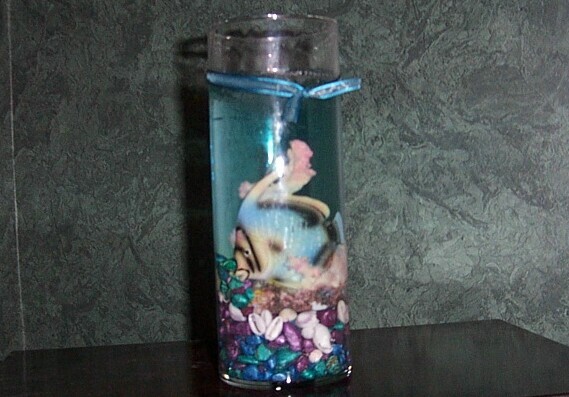 This is only a sample of items that can be put into vases. 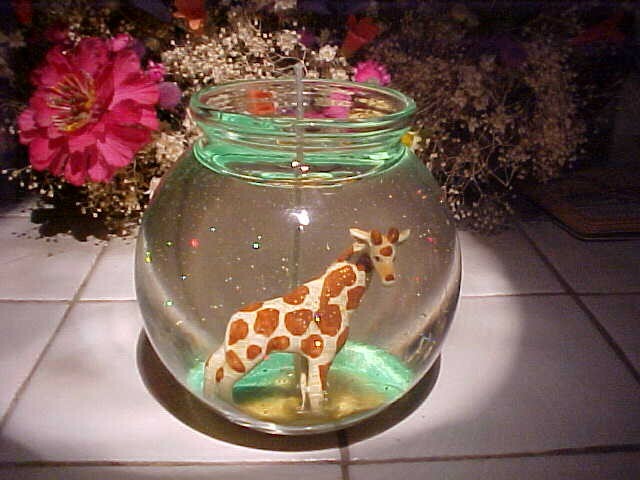 Any kind of sea life can be put into Fish Bowl's. 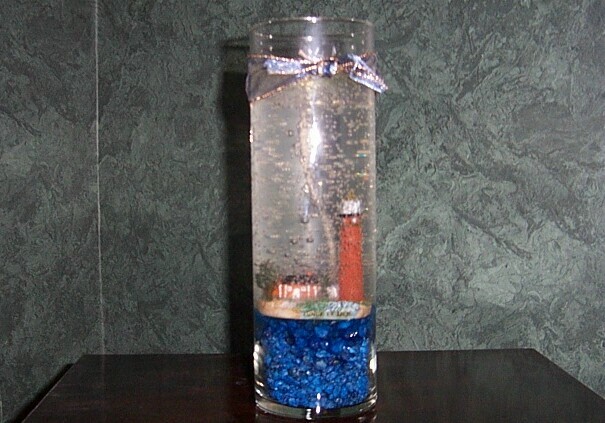 Any kind of Wine Glasses can be made up for a Wedding Gift or Wedding Reception. 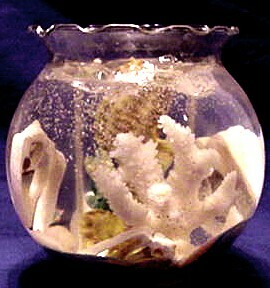 Any kind of sea life or sea shell's can be but into ivory bowl's and add color to gel. 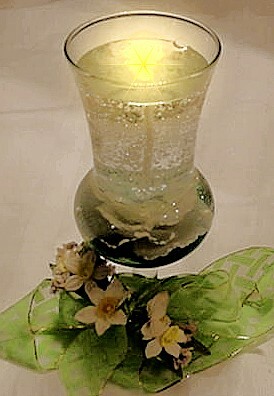 All glow candles can be done up with any colors or just added to any Gel Candle. This jello design can be done up in any of your favorite Jello scent. 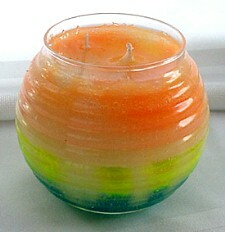 This design is also done up in Coconut & Cream Scent and Birthday Cake Scent. 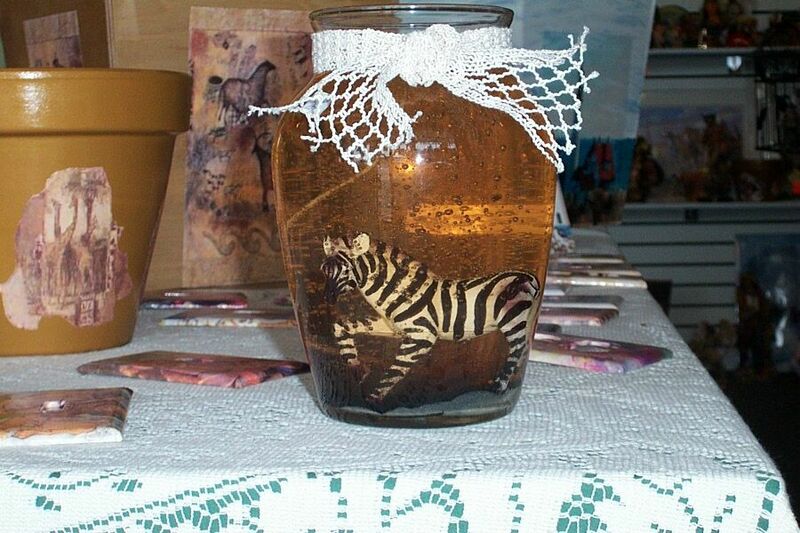 Any kind of animal can be put into any Vase or Bowl. 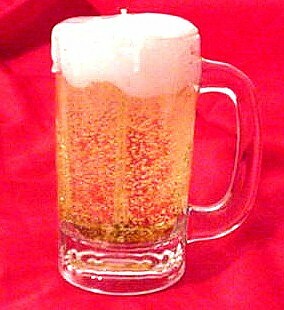 Can be made-up with Beer Scent. 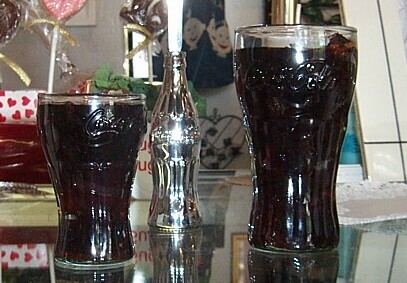 These Coke glasses come in 3 size's and choice of Coke or Cherry Coke Scent. 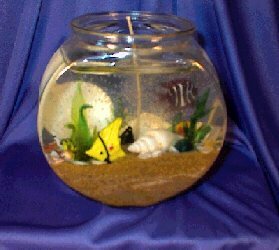 Any kind of fish or shell's can be put in fish bowl's and ocean color can be added. A DUCK TAKING AN AFTERNOON STROLL. 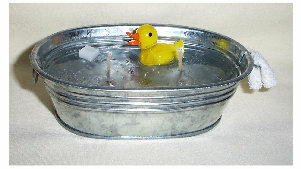 Any kind of tub toy can be put into metal tub's to add delight to anyone that receives as gift. 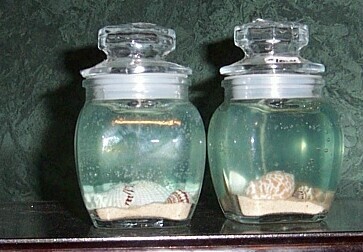 BABY BOY & GIRL BOTTLES WITH BABYPOWDER SCENT. 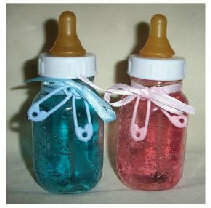 These bottles can be done up in any color you like for Baby Shower Gifts with Babypowder Scent. Also, done up with just Ice Tea scent. 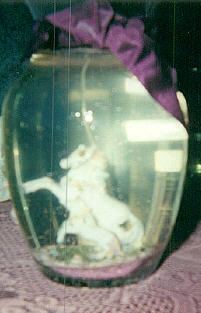 Any kind of silk/real flowers can be put in a Vase that will be as pretty as this one is.